Share it, Tweet It, Pin It, Like It, Stumble Upon It, Digg It and the list goes on..
Every conceivable kind of content that we consume on the internet today comes with explicit social networking markers. Today with over 1000 Social Networking sites known to exist globally and 16 virtual communities with more than 100 million active users to date, Social Networks/ Virtual Communities have truly changed us and as also our definition of SELF(!). For most of the activities that we partake in our daily life like work, sports, hobbies, shopping, travel, dine, drive, and the list goes on, there is a virtual community / social network for each if it. 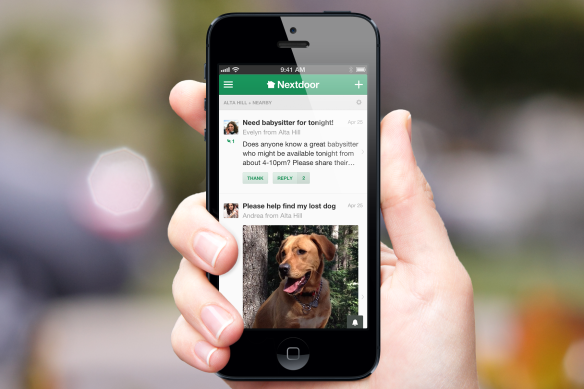 Now a social network built exclusively for local neighborhoods – called NextDoor is in the news for stepping into the elite territory of start ups. On NextDoor.Com, each neighborhood is a closed social network where users have to verify their real name and address to gain membership. Once we are in, the idea is to be able to connect with our neighbors, strike conversations, while finding out everything from local deals, finding nearby help or even be alerted of neighborhood crime. This latest round of fund raising values the company at nearly $ 500 m as NextDoor.Com is slated to expand to more than the currently listed US neighborhoods on its site. Nirav Tolia, co-founder and CEO of Nextdoor, says there was already “incredible demand” abroad and goes on to say..
“We see this whole notion of building safer and stronger communities is not an American thing at all, it is something all people share”. The Advertiser: Businesses in the locality can micro target the ‘captive’ user base in the neighborhood via their ads while also nurturing a local community of customers on an ongoing basis. The biggest opportunity here is for the SMBs. The User: A user can find the most relevant offers from around her apartment rather than get bombarded by offers from across the country if not the world! The Publisher: The publisher can facilitate the precious need of SMBs in the locality to micro target and reach out to their customer base in a very cost effective way, while also being able to track and optimize listings on a real time basis. It’s almost like combining the best parts of Yelp, Craigslist, Foursquare, Path and Facebook with a liberal dash of a local flavor. Like any other virtual community while it does come with its own privacy related nuances that need to be managed if it were to thrive across localities for the long term, one thing is nearly certain ..
We can finally get to know our neighbor. Albeit at least through the window of our screen. This entry was posted in Advertising, Business Model, Innovation, Mobile, Social Network and tagged Craigslist, Facebook, Foursquare, Kleiner Perkins Caufield Byers, Nextdoor, Path, SMB, Social Network, VC, Yelp. Bookmark the permalink. Yeah, read one article about NextDoor long back (http://mashable.com/2012/07/24/nextdoor/) and I must admit Nextdoor really has come a long way. I wonder how much time Facebook or for that matter Google plus will take to replicate this idea if at all they decide to compete in this space? Now from Marketers point of view, I agree to your point that micro target the captive audience is most rewarding and its proved that personalized marketing gives you plenty of bang for the buck but as an advertiser, I wonder shouldn’t I still be using Facebook and G+ where i will do mass marketing for awareness or in a nutshell ‘spray and pray’ but also with the help of social network analytics i can still run the digital campaigns for micro targets. Just a thought. Having said that, I think it will really be interesting to study Nextdoor’s success story in non US territories. I really love the UI. 1. Spray and Pray is a thing of the past – especially in the digital world. Today with tons of ways to track, analyse and optimise and a constantly improving means to reach customers geographically, contextually and psychograpically, this is but natural. 2. While big brands (those that typically have nation wide footprint) can still make a case to stick to using larger social networks like say Facebook / Google +, ‘small to medium sized business’ in our neighbourhood would rather prefer to target us – who they know are actually around the locality rather than spreading their spends thin on larger networks. That’s also a reason why my example in the blog was regarding SMBs.